Are you in need of catering services, maybe you’re holding an office party, wedding or corporate event? Perhaps you can’t afford catering and looking at do it yourself options instead, or weighing up the options between catering and DIY catering – Either way, we have a number of services that might be of interest to you. We can provide you a number of hog roast services to help make your celebrations as entertaining and enjoyable as they possibly can be. 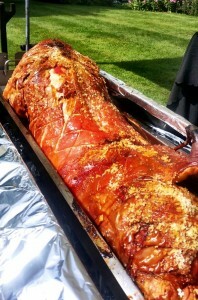 No matter if you are a hosting a hog roast Malpas event or a hog roast Warrington event, we cater right across the county. So what can we do for you? Two things, to start with we can provide you with scrumptious hog roast catering that’s nothing shy of mouth wateringly good. 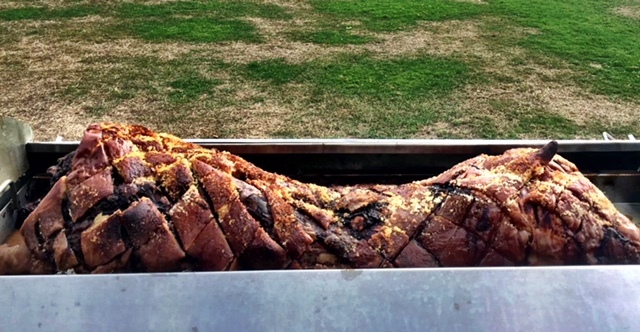 There’s nothing quite like a hog roast, except maybe a spit roast. That’s right; contrary to the name we’ll cook you much more than a pig. 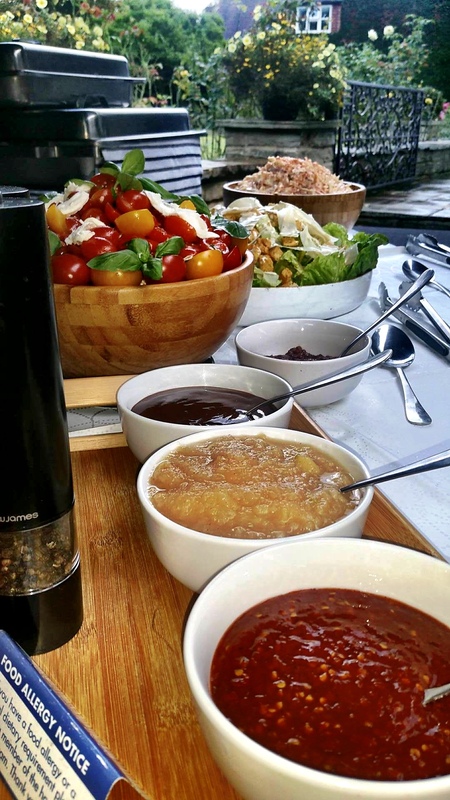 We have so many wide ranging menus that offer everything from hog roasted pig to Indian dishes, kebabs to spit roasted lamb sandwiches, summer puddings to Caesar salads and spit roasted turkey. Every dish that we offer has been perfected and the ingredients we use are all the best available. We make use of free range, organic meat for example, something that you’ll recognise in the quality of our food if you know your meat like we do. We’re always looking to better and take hog roasting forward, you’ll see what I mean if you take a trip to the menu section of the website and take in the many options offered up by our hog roast catering. It’s so good and innovative that we’ve been given awards. With so much choice offered by modern day spit roast machines there’s no reason not to have a hog roast this season. We have a range of menus that are categorised into 3 sections: Corporate, Wedding and Party. Within each section you will find a number of different menus for the given section, but these are merely an indication, if you wished you could use a menu totally non related to the event section if it takes your fancy. There are menus for all sorts of events; we have buffets, snack sandwiches, three course meals and everything in between. These can be provided for informal and formal settings. On events our chef and waiters will arrive, along with a lay table, table cloth and napkins and cutlery before your event starts, sometimes as soon as 6 hours before the event depending on the size of event and menu. We arrive early because our catering involves cooking fresh food and the team need to arrive early to prep the food and begin cooking the hog so that it’s properly cooked and ready to be ate later in the event. The pigs we cook can be up to 90kg and weight and as you can imagine a pig that large takes a long time cooking on a spit before it’s ready to be carved and served. We’re recognised for being one of the most helpful caterers in the region, too. Because where others shy away and try to do the least work we possible, we encourage customer interaction and requests. We’ve helped many customers over the years in a number of ways, be it finding the perfect marquee for the event or even helping to pick an event location. A lot of clients struggle deciding on venue and because we’ve catered at so many venues we can advise you on ideal local venues for your event. Organising an event can be reason for worry and stress, so we’re always aiming to take as much weight from your shoulders as we can, by helping in however way we can – We’re not content with just going through the motions. We also know that every single customer is different, and what’s ideal for one customer isn’t necessarily any good for the next. Hog roast catering might be tailor made for 80% of our customers; the remaining 20% have different needs and different means. For those of you who aren’t interested in catering we can offer an alternative – Machine Hire. Ideal for customers willing to get their hands dirty and do it themselves, hog roast machine hire is the cheapest and most enjoyable way to have a hog roast. You need no prior experience, to hire a machine and cook like a hog roast pro. You’ll have your very own hog roast machine, equipped with a gas canister and all the special add-ons that you can use to mix up the machine use. Variety is the spice of life and with a hog roast machine in hand you won’t be short of variety. With so many features to our machines it’s impossible to run out of ideas, I still find new uses for the machine after 10 years of using them on a daily basis. Hiring a is a sure way to throw a party that won’t be forgotten any time soon. With the spit roast attachments that compliment the machines you can cook whatever you like, it’s a fantastic way to get friends and family involved and engaged while not having a team of strangers in your kitchen intruding on a private party. Hog roasting is great fun for all the family and is a great source of entertainment and winter fun. We have 2 machines available for hire so there are options for both large and small parties. We’ve been making machines for years and our hog roast knowledge has been invaluable in building these great machines. With help of cutting edge technology and highly skilled engineers we’ve been able to offer a hog roast cooking platform that’s never been seen before. The machines are built from stainless steel to ensure maximum durability and style, making the machines not only practical but impressive aesthetic specimens. The machines we build are also CE Marked, an indication of the extreme high quality safety that the machines have. The machines we build are so good that there are plenty of caterers and restaurateurs sat around trying and failing to replicate the sheer power, class and usability of the models we’ve engineered. It’s no wonder then that we dominate the field and stand a class above the rest for hog roast machine manufacture and hire. From individual to commercial customers the machines are put to use on a daily basis, at any given time there are thousands of our machines scattered across the country, bringing great pleasure and entertainment to tens of thousands, sometimes hundreds of thousands of people. DIY Hog roasting is growing in popularity year on year and it’s really no wonder when you see how much cheaper, engaging and fun the do it yourself hog roasting option is. The machines are flying off the shelves because there’s nothing more traditional or exciting than doing the hog roasting yourself. Client satisfaction is the goal and we structure all our prices so that nobody misses out on hog roasting. It’s our aim to give everyone the chance to experience watching a pig cooking on a hog roast machine, gently fanning hunger-inducing aromas throughout the room. There’s nothing quite like it and once you’ve had it you’ll be a fan for life. So if your having a hog roast Frodsham event or anywhere else in Cheshire fill in the contact us form and we can give you a free quote in minutes.